An extraordinary Japanese Inn that offers unparalleled experiences at one of the few locations designated as a Japan Heritage spot. Stay at the Sanrojo Inn, an authentic shrine lodging right on Mt. Yudono. 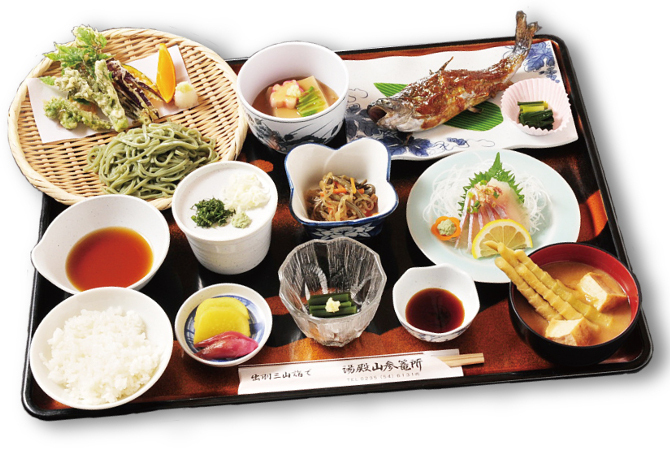 Here you can also enjoy the traditional shoujin ryori (buddhist monk cooking) of the Yamabushi mountain monks who developed this cuisine by harvesting natural ingredients right from this mountain. Sanrojo is open from April 28th until the 4th of November. Heavy snow on this mountain makes this shrine inaccessible outside of this period. We will call you once the meal is ready. ・The toilets on the first and second floor are both mixed and western-style (no squat toilet). The toilets are equipped with shower facilities. ・The toilets in the basement are squat toilets only. ・On the first floor (separated for men and women). ・Bath’s capacity: up to 7-8 persons. ・Basement (Separated for men and women). ・Bath’s capacity: up to 4-5 persons. The bath will be opened from the 1st of June. 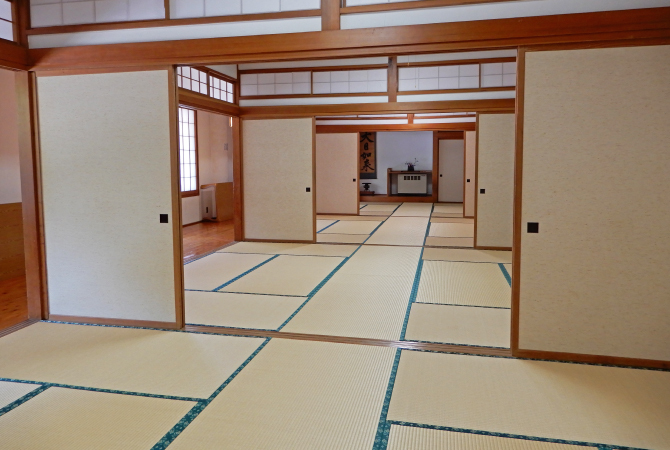 Goshin’yu’s bath is there to allow pilgrims to soak into sacred water so one can be granted with the gods’ benediction both physically and mentally. Hence, there is nothing else but the bath and a praying altar. No shower facilities, no body wash facilities inside the room. Please complete washing in another room before entering this bath. Please use the lockers on the 1st floor next to the stairs. ・No towel, bath towel, toothbrush, or bath clothing will be provided. Please bring your own. Please prepare your bed and tide it yourself. 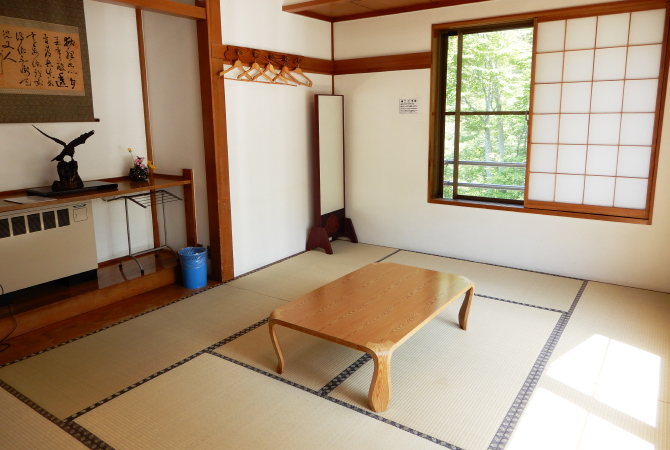 ・The Japanese confectionery and snacks available in the room can be bought at the resthouse under Sanrojo. There are two types of public baths in Sanrojo Inn. One modern one on the first floor and one traditional one on the basement floor. Please understand that these are public baths and that there are no private bathing options. In Nibuminakami Shrine that worships the Water Goddess half the way to the top of Mt. 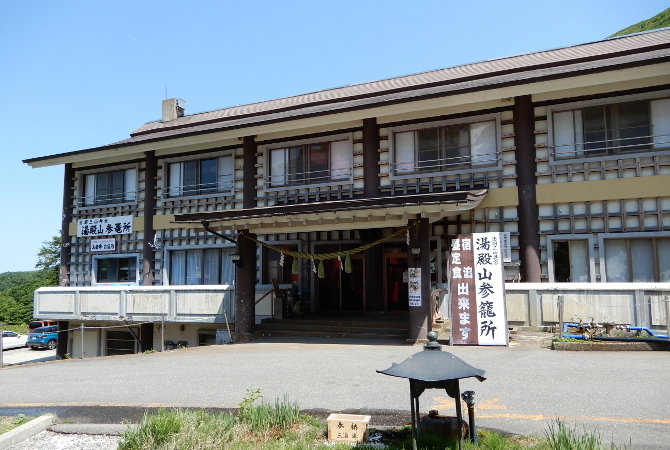 Yudono, there is a special hot spring particular for the quality of its water. The temperature out of the source is of 18 degrees and carbon dioxide is present in big quantities inside the water, which is very rare in Japan. 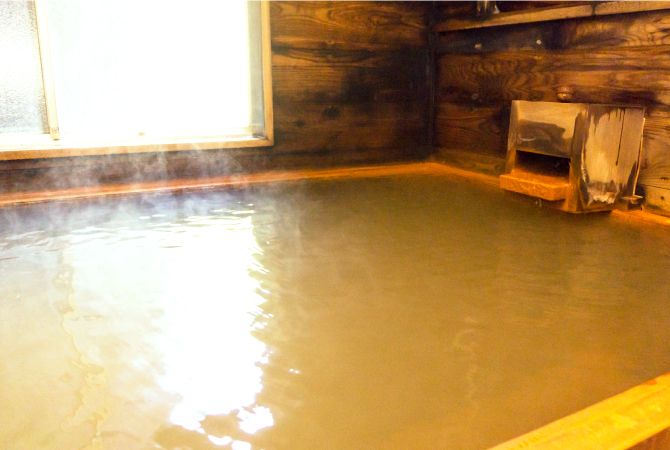 This water is what we call “The Water of the Gods” (Kami no yu), the onsen of Yudonosan Sanrosho lodge. 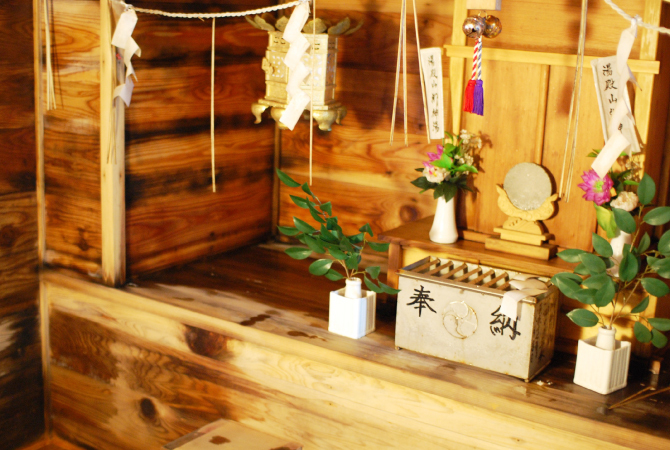 Inside the bath room you will find an altar dedicated to Amaterasu’s sister Nibutsu Hime no Kami, the goddess of Mercury. Hence, the bath water is somehow filled with the soft and gentle power of the goddess. To enter the bath, please bow once in front of the praying Altar before soaking into the water. Feel all the change that occurred from your “Rebirth Journey” during that delighting moment. Other: There is no shower facilities inside the bathroom, please use the facilities on the first floor prior to bathing. Please also take in consideration the capacity of the bath tub is limited (4 to 5 persons at the same time). It might be possible you will need to make a reservation to get access during crowded periods. ・Please understand in busy day and time we cannot serve you. Dainichi Nyorai (Symbol of Eternal Life) is a symbol of the capacity of sprawling nature, is god of the mountains, the source of all life—hence the name “mountain of the future.” Mt. 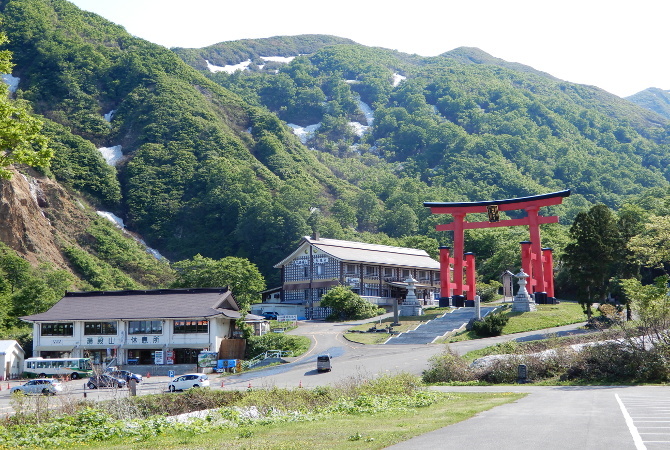 Yudono is a sacred place, where visitors feel reborn after touching the Goshintai monument (Yudono san jinja hongu) from which warm water flows. Assist the morning’s offerings called Omike to the Shinto gods, that takes place every morning at 6am.